The idea of running ads on blogs and other websites is nothing new. In fact, you’ve been using this approach to market your company for a number of years. What you may not know is that programmatic marketing and advertising is changing the way business owners approach online marketing and reputation building. Here are five things you need to know about this strategy and what it can do for your business starting today. Depending on which expert you choose to partner with, you could have the choice of two different management options for your online campaign. One is known as self-serve programmatic marketing and is proving to be quite popular. This approach allows you maximum control over the bidding for space on different websites and also provides you with the tools needed to get an idea of how those ads will look in relation to the rest of the page. Many platforms like this also provide real-time information that helps you adapt your marketing campaign and maximize the returns. Your other option is a managed platform. With this approach, you place much of the management of ad placement and design in the hands of an expert. This works well for someone who feels uncomfortable with managing the process and who would prefer to concentrate more on other aspects of the business. Did you know that as of 2016 over 70% of the ads on social media sites are placed using programmatic marketing? It may come as a surprise that over half of the ads displayed on mobile devices are placed using this approach. Even the field of video marketing is impacted by this method. More than 40% of advertisers using video choose programmatic advertising to reach their targeted consumer base. You know market conditions can change suddenly. What if your advertising efforts could be adapted to meet those shifts without delays? 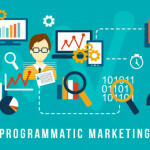 The nice thing about using programmatic marketing as your method of choice for online digital marketing is that you can adapt just as quickly as the market changes. Think of what that means in terms of protecting your investment in advertising and marketing. Ad fraud is nothing to take lightly. It can divert consumers and end up preventing you from generating revenue. 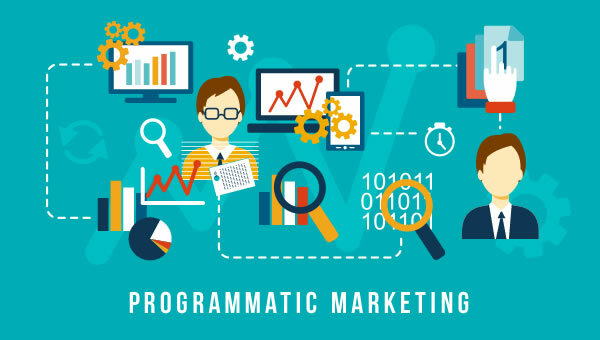 Programmatic marketing helps to reduce the impact of those fraudulent efforts and ensure consumers who are interested in what you have to sell from ending up at a bogus site. Ad impressions influence how much you pay for advertising placement. You want those impressions to produce results. With this marketing approach, it’s not just about the reach of your ads. It’s also about only paying for relevant impressions. Thanks to this aspect, your advertising budget will go further and you’ll see more positive returns. Talk with a pro about this marketing approach today. Ask questions and arrange to see demonstrations of how the program works. It won’t take long to see how this resource will allow you to accomplish a lot with those advertising dollars.